Hare Krishna: Andhra and Telangana split - Who will be benefitted? Andhra and Telangana split - Who will be benefitted? Andhra has three regions, Coastal, Rayalaseema, and Telangana. For the last few years, we are seeing Telangana issue every day in all the news paper. Those who want to have separate state do not understand the problems in the creation of the new state, and the problems after the formation of the state. It is easy to maintain and develop smaller states when compared to bigger states. If the state is big, it is difficult to do developments in all the regions equally. This is the reason given by all the people who want to have smaller states. However there are many disadvantages in this approach. It requires thousands of crores to create a new state. Once the new state is formed, many people would be effected by that. If a person has business in both the states, then they will have to pay tax in both the states. For example, If they have vehicles which travel in both the states, they will have to pay road tax in both the states. If any product is produced in one state, by the time it reaches to the consumer of the other state, the price increases. Sometimes, eventhough the consumer does not see the difference, but, dealers and wholesalers would be effected by this. All the educational institutes would be reserved for their state students. In each and every field, there will be significant change, and many people would be effected by that. Many times, they will not realize that, they are not getting good chance because of the partition. When Vajpayee was the Prime Minister, he formed a committee to come up with the changes to the constitution and ideas for improvements. Many of those suggestions can be found in My Country My Life by L.K.Advani. 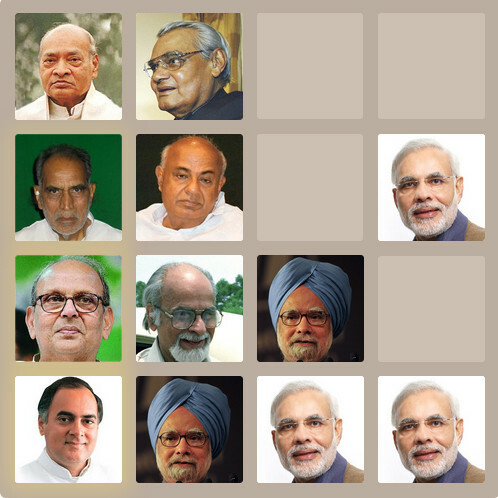 Vajpayee had implemented whatever he could do with the help of 25 political parties that were supporting BJP. In that one suggestion was, to form district level governments. There will be a district head directly elected by the people. He/she will take care of the entire district needs, and the people does not depend on the CM for small things. The role of Assembly would be restricted to coming up with the policies and high level decisions. Loksatta promised that, if it comes to power, this would be implemented in the state. Even without all these, if the government uses the present local governments efficiently at the town/Mandal level, we can improve a lot. But, Andhra government is not giving control to the local government. When N.T.Rama Rao was Chief Minister of Andhra Pradesh, he changed the local government elections to direct elections. By that, it was possible for the people to elect a good person as the Chairman. But, the present Chief Minister Y.S.RajaSekhara Reddy changed it back to indirect elections, and now the people do not have any control in electing a good candidate as the Chairman. In most of the municipalities, the ruling party members can easily become the Chairman, because, Ruling party will have 3-5 extra votes. The ruling party nominates 3 members as ward members, and MLA and MP also have voting power. Because of that, even if the ruling party does not get majority votes out of 25-50 seats, still one of their members can become chairman. If we fix all the problems in the local government, and transfer funds directly to the local government, then we don't need to split the states unnecessarily. Thousands of crores of money that is required for partitioning can be used for development of the state. TRS, NTPP, Talli Telangana and many other parties are saying that, if people vote for them, they will get Telangana. Because, people do not know the rules, they say whatever they want. L.K.Advani says in My Country My Life that, for partitioning a state, the parent state has to approve the resolution in the assembly and has to send it to Parliament for approval. Once it is approved by Parliament also, the state will be partitioned. Unless, the resolution is passed in the assembly, center cannot do anything. TDP and Congress are not supporting Telangana, so the bill cannot be passed in the Assembly. Just by winning in all the constitutions in Telangana does not give majority. If TRS, NTPP, and Talli Telangana really want to form a new state, they should contest in Coastal and Rayalaseema regions also, and get the majority. Till 1995, Hyderabad was not that much developed. In 1995, Chandrababu became Chief Minister of Andhra Pradesh, and after that, he developed so much in IT in Hyderabad. He started Hitech City, and invited many big companies to Hyderabad. He single handedly taken Hyderabad to a very good position. By 2001, Hyderabad was about to take-off in IT. At that time, then Deputy Speaker K.Chandra Sekhar Rao (KCR) started Telangana Rashtra Samithi (TRS) for partitioning Andhra Pradesh into Andhra and Telangana. I did not like it at all. Because, KCR started TRS after Chandrababu (from Rayalaseema region) developed Hyderabad (in Telangana region) single handedly from a normal city to must visit place for Bill Clinton, George Bush, and Bill Gates etc. If he had started TRS before developing Hyderabad, I would have appreciated. But, he started immediately after developing the state. So, I never like KCR and TRS. With the experience of KCR, the present Chief Minister Y.S.Raja Sekhar Reddy (YSR) is doing all the development activities in Kadapa (Rayalaseema region). Chandrababu developed Telangana, and if the partition happens, entire Andhra loses so much. YSR does not want to do the same mistake again. So, he is developing rayalaseema region. KCR is criticizing almost everyone who opposes partitioning. He is unnecessarily conducting Bundhs, and Road blocking activities for each and every small thing. If this continues, then after the partition, Telangana and Andhra become like Karnataka and Tamilnadu which fight for every small thing. That is even more terrible than economic problems described above. Let's hope that partition does not happen, and at the same time, the state would be developed by utilizing the local government to full extent. Your Analysis is true to some extent. But, KCR is not the first person to talk about Seperate Telangana. In its first place, Never the people of Hyderabad State were interested to get into the unified ANdhra Pradesh Framework in 1956. Time and again the people of Telangana were deceived with a pretext of innumerable Promisies made whenever the demand for seperate identity cropped up, but never put into reality. You were talking about Developed Hyderabad, instead justify how that helped people of Telangana region to raise their standards. As an example Lanco generates revenue to Lagadapati & Family. Land sold here for SEZ's generates foreign territory9never useful to Telanganites) which in turns brings revenue into Raguram cements and Sakshi. YSR says if Telagana is formed that will ignite Naxal Problems. Is it not true that in the unified state we have Faction problem. He talks about MIM apposing formation of Telangana but was he not responsible for 1990 Communal Roits in colloboration with MIM in United Andhara Pradesh? I did not say that, Developed Hyderabad helped people in Telangana region. But, it helped people in Hyderabad and surrounding areas. For any company in the world, the profits goes to only the owners and shareholders. So, irrespective of whether the company is in Telangana, or Rayalaseema, only the owners of the company gets the profit. But, when a company is started, it creates direct/indirect employment. Anyone in the state/country may be benefitted by the direct employment. But, most of the localites in that area would be benefitted by indirect employment. No political party (Except loksatta) talks about the real problems of Telangana, and gives all the stupid reasons. Naxalism, MIM are the stupid reasons these politicians give. They are not the problems. I understand the sentiment of separate state. But, what I request people of telangana is, understand the actual problems, and come up with actual solutions for that. Just giving the state will not solve all the problems. After forming the state, again, if Telangana gets the same stupid party/CM, then it will never develop. Understand all the problems, and come up with a good solution. After discussing of all the problems, and all the possible solutions, if they still think that, getting a separate state will give more benefits, then everybody would be fine with that. But, I am not optimistic that, just giving a separate state will give benefits. I born in Hyd but currently I residing in Australia. I agree with majority of the points and individual thinking about this movement. But does it make any difference to politicians or supporters, no I don't think so. My Australian friend came to India during my wedding he was amazed, I asked him how to find India he said it's beautiful country but I can't find any Indian here. I was literally ashamed when he said that, because everyone say's I am south, north , east or west never represent proudly I am Indian. Even, when Indian meet each other they ask which state you are from, language, cast etc... even parents right from the childhood they teach them religious, cast etc... by the way I married Muslim girl and my name is Durga. Simple solution people need to educate how these corrupted politicians fill there vote bank and bank a/c by voting or supporting them or act like Chinese “Dictatorship” only two parties all over the country one rule obey it or serve the punishment ….. Indians can never understand until and unless they get smack on their head. I am sorry to say but I gave up my citizenship, even though I am not Australian by born at least this country accept me, respect me and my culture. I have lost faith in Indian government and people of India because they don't think, everyone just busy in there own life. Indians attitude is just like “Who cares where the hell we land” is my bank a/c is full that's it, no need to worry about anything. Though I am agreed with most of your points @Durga but I am sorry to say you also took the same attitude - "who cares where the hell we land .. is my bank a/c full". Could have been proud of you, had you done something for India. It is really unfortunate the the people of Telangana and more unfortunate the students who are supposed to be educated have got carried away with the tactics that the TRS leader KCR played. These people failed to understant the fact inspite of being shown 24 hrs in the media that KCR was on fluids and saline all these 11 days of his fast so there was never a danger to his life at all but alas our so called educated people and the so called future citizens of this country- students you have been fooled again. Get ready for the worst is yet to come. Some day in the future you will regret for having supported this agitation. Time will make you realize but it would have been too late. There are very few sites which talk about the advantages and disadvantages of a seperate state. your analysis gave a good insight into the issue. When i saw todays headlines "central revents for telangana". I didnot even know weather it is good or bad. I HAVE THREE MLA IN MY FAMILY. That was a very true article.but well now that telangana has been approved by Mrs.Sonia Gandhi tht too at midnight it simply showz how irresponsible and insensitive our politicains are? kcr goes on a hunger strike and the whole government is moved by this!and they grant a seperate state! tommorow another leader will GO FOR a hunger strike will u grant him another state. andhra pradesh was the largest state in south india but now withthis partition the development will surely come to a halt.hyderabad one of the developing city tht may become the capital of telangana.if that is the case then what about all the projects and colleges started by andhra people out here! please politicians wake up!stop being so self centered.ur elected to develop the country and make sure we all stay united but because of your personal intrests please dont divide the people of our country. telangana people please dont get swayed away by these politicians words.please think.united we develop ,once seperated who knows what maybe the next consequences.forming a new state is not that easy .there are many problems yet to come.because of this parttition of telangana and andhra now rayalseema is asking for a new state.if the condition goes on like this then each and every city may also ask for a seperate state.please dont divide our state.many people sacrificed their lives for the formation of ap not see the partition today.please ......... its really sad that our state is being divided.please....the people of ap dont allow these politicians to play their games with you. and if at all partitiuon does take place what about hyderbad ? most of the investments are done by ap people then how can telanagana take the entire name for the development?atleastr make hyderbad an Union territory aor a joint stste capital. but if there is no partition there is no other better news than this!!!!!!!!!!! people of ap stay united!dont let your telangana region to seprate from you. united there will be development.divided noone knows the consequences. most of the investments are done by ap people then how can telanagana take the entire name for the development?atleast make hyderbad an Union territory are a joint state capital. People of Telangana are not really given correct picture on Separation issue. They are being carried away by the selfish politicians. Actually, People of Telagana are very good, cordial and plain hearted. They are poor, they do not have resource to cultivate as most of the land is rocky. This wish of Almighty it is not a curse. The leaders have ruled and ruling over generations with their might and supressed people early independance and post independance. For a continued authority and powermongered leaders they spit venum in the telagana people and created barriers. When the party leaders(Such MLAs, MPs,MINISTERs, CHIEF MINISTERs, MUNICIPAL CHAIRMANs, LOCAL BODY HEADs) were elected at their consituencies giving right to develop why they have not devloped over 50 years. Why they have not used fund given or granted for development of Telangan region. As per the govenment development programmes each district/ region is give grants to Local Bodies and members of Asembly/Parliment. When the elected leaders do not excercise power/right to fight for the funds and use for the devlopement of their respective area or constuiency , how they say Telangan was diceived why drive the innocent people into dirty politics. If, the Chief Minister, representative of Telangana in the past had not done justice to their people, why they blame other. In the centre, there were Labour, Railway, Urban development, other Ministers , who served/ serving forover decades during last Congress/Janatadal,BJP/UPA govt. why they have not taken care about their people of their region. The rocky hills /lands/properties have deloveloped and many urban employees have invested and commited their income in crores and industries have given employment in arround Hyd. In the region, educational institutions Engineering,Medical colleges, universities have come up were big institutions have been built. How can one say it is not developed. Unlike in the past, in the last two decades the people in Telangana finacially and acedemically advanced. The people are unnecessarily dragged and mentored with a kind of regionalisation and driven in wrong routes instead of promoting possitive thoughts. No one should be fed free with out hard work a four course meal. The leaders should appropriately thought of creating congenial atmosphere to the comfort of all people of India instead of looking one section of AP as owners of Telegana. With the crisis becoming worser day by day and the government not able to take an appropriate decission shows how weak and incapable our government is at handling the situation!the innocent telangana people r playing into the dirty hands of the selfish politicians.if at all they do get seperated its a severe loss fr both sides!and our development will come to a stand still for a long time.the name we gained in it sector and other sectors will be evaporated !which company will like to invest in newly formed state and by the time all this agitations come to an end we will stand no where in the compeititive world!it was useless for the students to get involved and act so violently.infact 90%of the people hardly know why they are asking for a seperate state!plz people wake up !dont let these schematic politicians play with you!united we can reach greater heights!seperated it will be very tough to withstand the world.and coming to development how can u expect the government to be playing a fair game in develping the state instead of oogling it all up themselves/please people wake up! dont opt for a seperate state and stop all these agiations.there are better causes to fight for instead of all these political dramas. and if at all the central governmanet is successfull in pacifying the agitations and going fr a united "ANDHRA PRADESH"hats off !this one move will save 2 states from going into great devastation!a request to telangana people please dont think that u are any different from us .we all are one.we together make the great state"ANDHRA PRADESH"
so come together and we will work together to make our state a better place to live in and also develop it to the heights no one has ever dreamed before!!!!!!!!!! You are correct. I do not appreciate the activities of KCR & TRS. Whenver he lost in elections, he used to bring such sensitive issues and encash it? People of Telengana region should not believe his acts. Because of his acts, state lost so much. People cannot bare such politicians. Your dumb australian friend why does he some one where he is from when he is in India? To know if anyone says that he is an indian? Did he come here to attend the wedding or to scrutinize Indian national feelings? And dumbasshole in australia would prefer to say his city or state if anyone aske him in australia- where is he from? My go, are all the australians like that dumb fellow or just you and your a phoren friend are special race? If we go on dividing states like this then India will nearly 600 states i.e., every district will be a state and who are going to benefited by this bifurcation except politicians. Can't we fight like this instead of separate state for the development of the region. If even of the separation if Telangana doesn't develop then who should be held responsible this useless KCR, students of OU, or the foolish public who are getting carried away by this so called cheap politics of division. It will become balkanisation problem and India wont be able save by its own people. so wake just fight for your rights but not for the division of Andhra Pradesh. He is saying that Telangana are backward, then what about the Osmania University which is occupied by nearly 80% of non- Hyderabadis. We should also fight for it and if we starts fighting KCR will run away from Hyderabad. He(KCR) said he will give 12% reservation to Muslims let him first support just for 4% reservation to Muslims then tell him to talk about it. When we are already having 46% reserved seats how come he will give more 12% to us, it just a tactic to fool Muslims and bring them into his stupid agitation. Why the people of Telangana are want of Telangana is not for thinking of their development, they are unable to bear others developement. As an Indian, we can stay anywhere in India as an Indian and we can develope, do busines any where in India, since India is a democratic country. Yes we have come to Hyderabad, done business and developed, it is our right to go anywhere, settle anywhere. Even our Indians are going to USA settling there, doing business there and earning money for their livelyhood. Settling anywhere is a right as a human being. What's the use you guys posting in here in the blog and discussing...nothing happens, no body bothers or reads . If you really wanna help the state and people do some thing worthful. Speak so that leaders can listen. Seperate state is a big burden on people itself. .prices increases, taxes increase to grab more money..leaders grab all the crores of money for the formation of a new state from people itself. They will not take from their pockets..! For their political gain we are going to suffer. Harder days ahead..! I don't know whether you read wrong or Advani had written wrong in his "My Country My Life" regarding procedure to create separate state. Actually states have no say on creation of separate state in our country. A resolution may be passed or halted in assembly(it's just formality), parliament will go ahead with bill. If it is defeated in parliament then there is no chance of forming telangana as you said. Center can change the political map of india on it's will. I had read it wrong. In L.K.Advani's book, he mentioned the following, which I did not read correctly.